Can you believe it's September already? This summer just seemed to have flown by extra fast. And this is the outfit I pull together for an easy summer-to-fall transition look, which is extremely comfortable because it's extra stretchy. 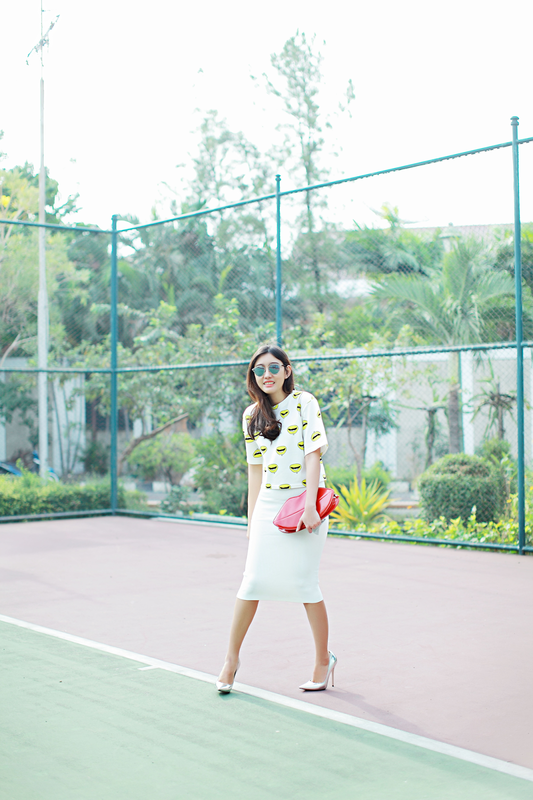 Had fun with the neon printed lips tee over the red lips clutch.